As you might have guessed from the name, penny slots are low-denomination slots where the bet is often under a dollar-per-spin, hence the “penny” part of the title. Don’t let the name fool you, though. Penny slots can actually lead to some of the biggest wins depending on how you play. When it comes to slots, Silver Oak always goes the extra mile to make sure that we’ve prepared everything you need to know, but penny slots is one of our specialties. We practically wrote the book on how to succeed with low-wager betting, so let’s jump into some of the highlights right now. To win big with a minimal wager is the holy grail of playing penny slots. It is the archetypal scenario where someone tosses a quarter into a machine, only to walk away with, say, a quarter of a million dollars. Slots are largely unpredictable, but there are some ways that you can promote the biggest wins and the longest bonus rounds possible when playing on penny machines. One thing that you want to pay attention to is the volatility of the penny slot that you decide to set your gambling sights on. If you don’t know what the volatility of a slot machine refers to, check out our post on volatility in slots, but suffice it to say, the volatility is the rate in which the machine is going to pay back the money that you put in. In other words, are you going to be getting a bunch of small wins over a long period of time, or is the play going to be more of an ‘all-or-nothing’ type of experience? 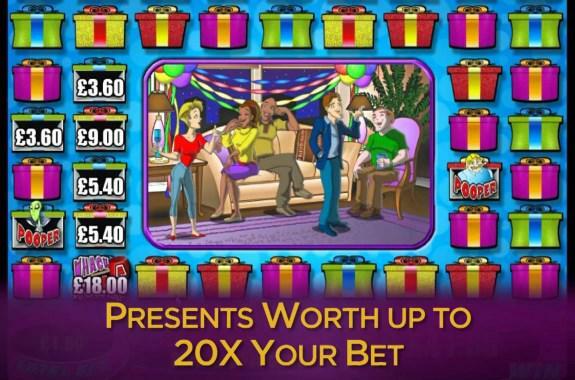 If you are after that one-time maximum payoff from a penny slot machine, then you want a highly volatile machine. To find the machine that will suit the style of play described above involves a little bit of research, but the beauty of playing penny machines is that you can play and test out strategy without it breaking your bank too much. High stakes research can be stressful and costly if you do not happen upon any luck, but playing penny slots can be a fairly relaxing way to research and hone your gaming strategy. Here is something to consider: the average payout of a 20-line slot machine. As mentioned above, take note that playing max bet on one of these machines is just one dollar under what the lowest bet on a dollar machine would typically be: five dollars. So depending on how you play, a penny machine can accommodate wagers ranging from the most amateur level of player all the way up to the more professional demographic that is comfortable waging four dollars or more each spin. Try your hand at some penny slots today. For the aforementioned reaons (and many others) this could be the day that you walk away from a low-demomination bet with the payout that one would expect from a more expensive machine.